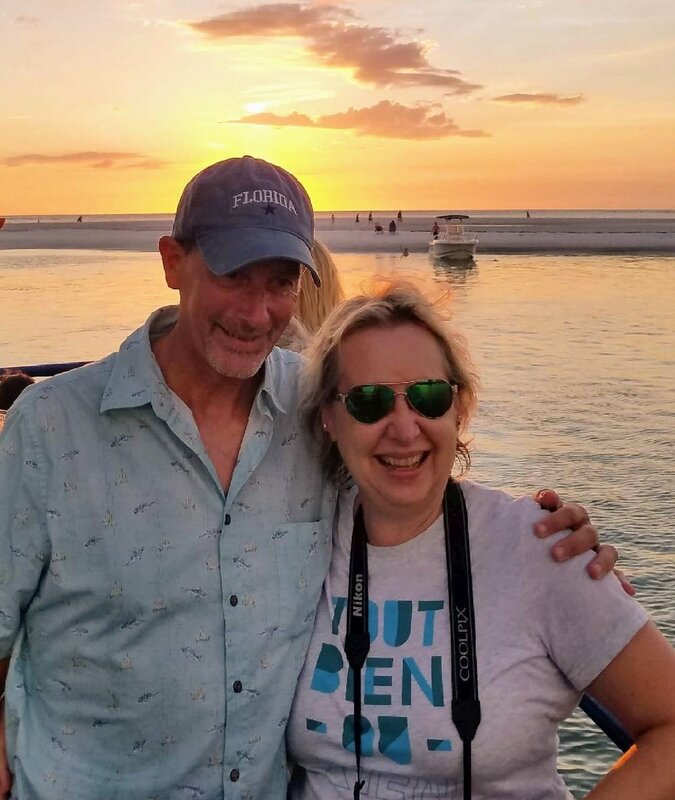 Two weeks ago today, my husband Steven and I were on nearby Sanibel Island, celebrating seven years together as a couple. I just came across this photo in my many photos and had to upload it! I called Steven on October 25, 2004 to tell him my then husband John, had left me for another woman. Steven and I were 47 and 48 years old at the time, but had been friends and known each other since high school. When I made that phone call, it truly was the last thing on my mind that I might end up having feelings for Steven. He, on the other had freely admitted a few weeks later, that he had had a crush on me since I was 15!! We married the next June, after my divorce was final and while we do celebrate our wedding anniversary, we always celebrate the day I called him. I really love this photo and had to share it!